Following a turbulent year, a new lease of life for long-established Suffolk-based wheel and tyre supplier Fieldens will be welcomed by the company’s retail, trade and OE customers. The Fieldens OTR Ltd team(l-r): Ed Lonergan; Michael Collins; Keith Knight; David Barton; Mark Duncan; Paul Hunt; Kath Bullard; Katie Lawrence; Keith Collins; Andrew Grief (Digger) and Jamie Stannard. Since this picture was taken, Keith and Michael Collins have left the business and moved to ATV specialist MKM Agriculture, which has been confirmed as the dealership to represent Honda in Suffolk. 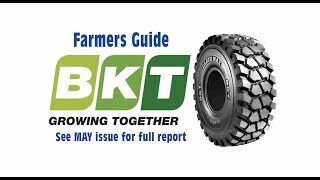 The business has been relied upon by farmers, contractors, dealers and manufacturers to specify and supply optimum wheel and tyre combinations since the early 1980s when John Fielden started the original company, importing Terra Tires from the USA. John retired in the late 1990s having built a very successful and popular business, and with the company listed as a plc on the AIM market. The Fielden family is no longer involved and the wheel and tyre business returned to private ownership with a new owner in 2002. Earlier this year Fieldens (Wheels Tyres & ATVs) Ltd went into administration, but was purchased this summer by American family-owned off road tyre giant OTR Tyres Worldwide, which is keen to expand its agricultural tyre business. A range of premium tyre brands includes Michelin, Trelleborg, Mitas, Vredestein, Titan Goodyear, BKT and Alliance along with others sourced through wholesalers Claydon and Kirkby Tyres. Under the new ownership the current accounts and administration staff are being retained, so previous customers calling or visiting will be familiar with the team. Office and special projects manager Kath Bullard is usually the first point of contact. Brian Groom who joined the accounts department in the 1990s is finance and administration manager, while day-to-day accounts are managed by accountant Katie Lawrence. As a result of the company’s focus on the agricultural tyre business, and extra space needed for stock as well as wheel and tyre assembly, the long-established ATV and accessory division ceased trading in early November. “Obviously with off-road tyres a speciality of parent company OTR, we will continue offering a wide selection of tyre and wheel equipment for ATVs and accessories,” pointed out Mark. “After a year of uncertainty it’s great to be able to look ahead knowing that such a respected and secure parent company is behind us,” said Mark. “OTR Tyres already has a UK base at Derby from where it offers an ever-increasing range of industrial tyres. 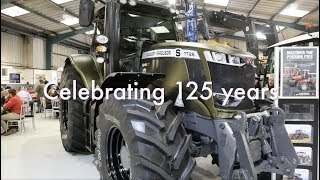 At Stowmarket we look forward to building our agricultural tyre and wheel business.